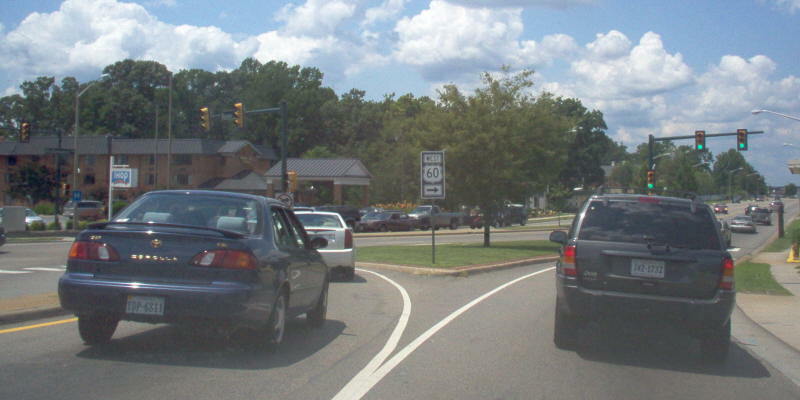 Along VA 162 westbound, leaving York County and entering the City of Williamsburg. VA 162 is absurdly short in its present configuration, ending here since 1994. Photo by Mapmikey, taken July 8, 2006. 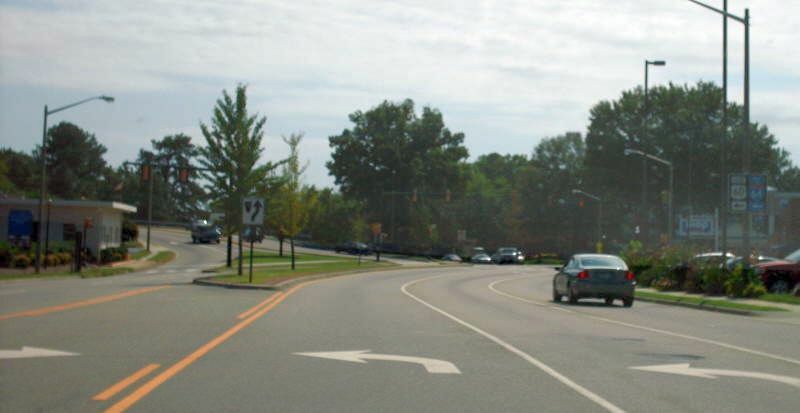 From 1979-94, VA 162 continued west through Williamsburg, ending at US 60. This is the view of that ending from US 60 westbound. VA 162 started to the left. Photo by Mapmikey, taken July 8, 2006. This is the view of that ending from US 60 eastbound. VA 162 starts ahead while US 60 turns to the left. Photo by Mapmikey, taken September 15, 2007. From VA 143 northbound, which continues to the right at the light. Photo by Mapmikey, taken July 8, 2006.